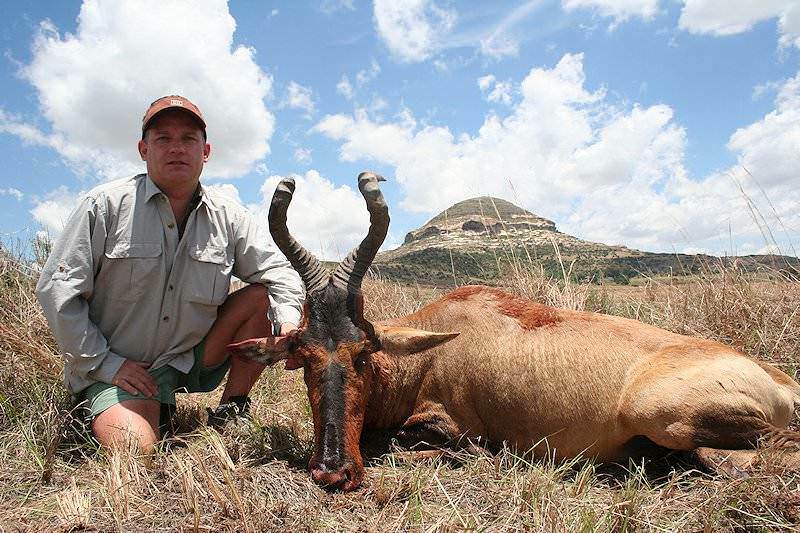 Red hartebeest are normally hunted in the central and western parts of South Africa. 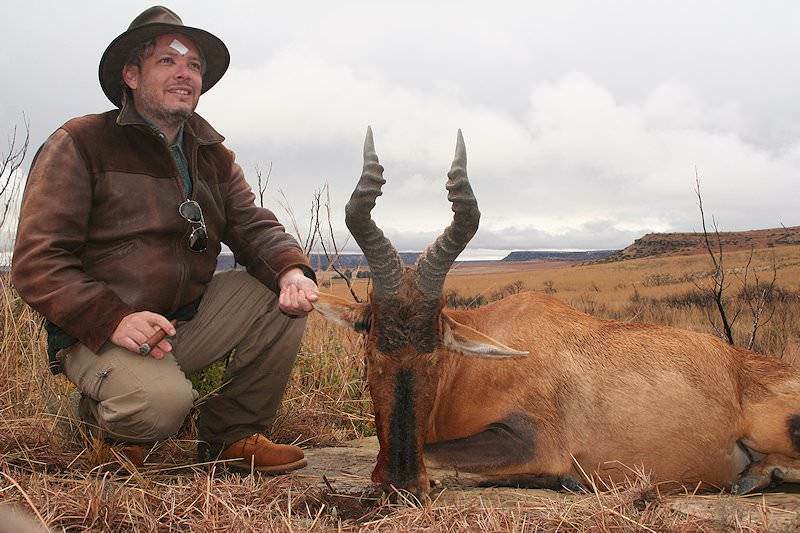 Sometimes nicknamed the "Harley Davidson” of the antelope tribe because of the configuration of his horns, this 'beest' is truly a strange-looking creature. 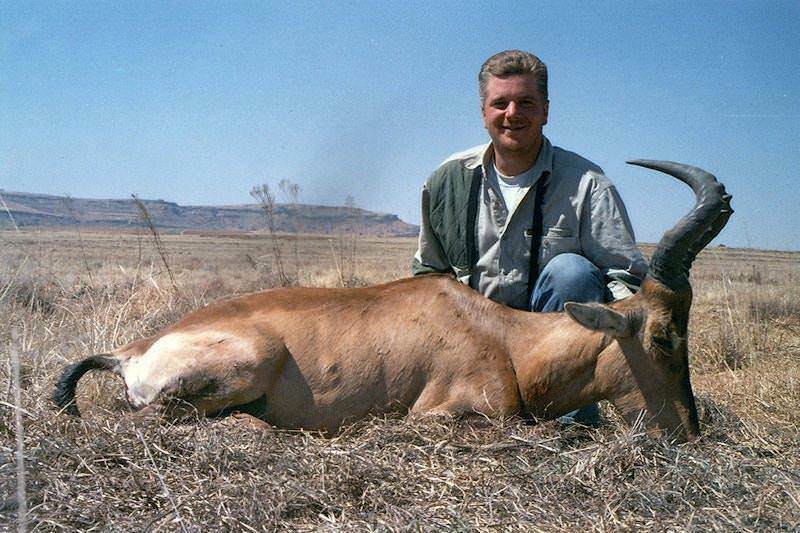 The elongated appearance of the face is exaggerated by the smooth, unringed section of the horns, which continues on the same line as the face. The horn then curves slightly forward and finally takes a drastic curve rearward coming to the tips. Both sexes carry these very unique horns, however, the bull's are much heavier, especially at the base. The 'beest's' white rump is very evident as he flees the scene when disturbed. The rocking horse motion is almost comical when exaggerated by the up-and-down bobbing of his long face when the hartebeest takes flight. 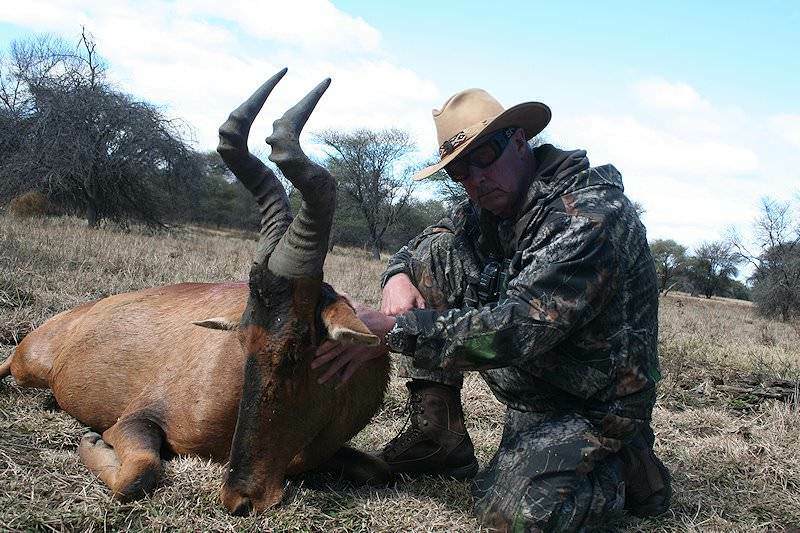 When hunting the red hartebeest, be patient. He is highly inquisitive and even after set in motion the herd will often pause to mill around and survey the situation. His fatal mistake - take the shot. 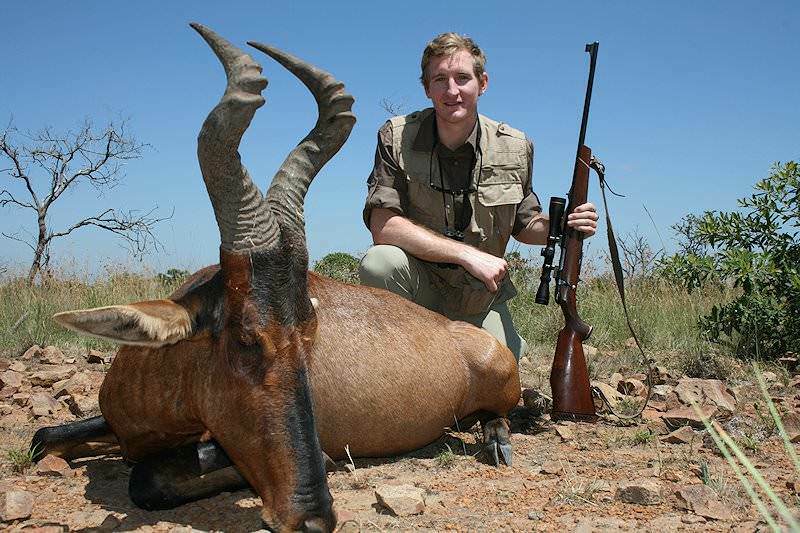 The hartebeest has a strong herd instinct, forming herds of 20 or so but herds numbering in the hundreds are not uncommon. The bulls are extremely territorial and will defend their turf against all comers at all cost. In the absence of a herd bull, leadership of the herd will be passed temporarily to one of the adult cows. 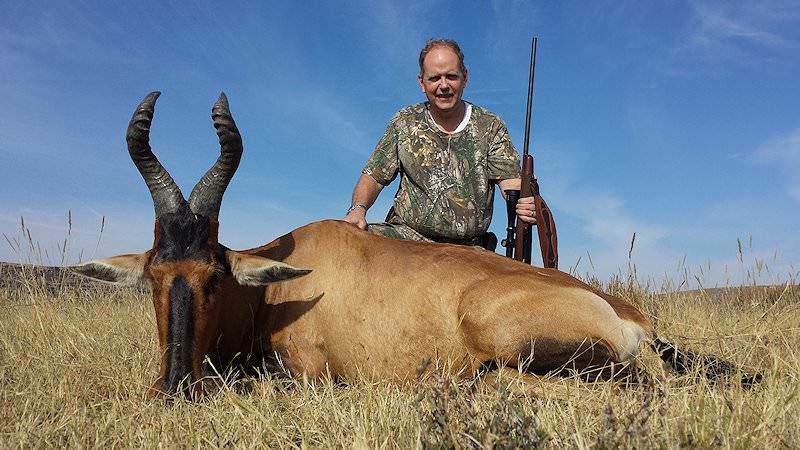 Commonly found in the arid savanna, the hartebeest prefers the open plains. 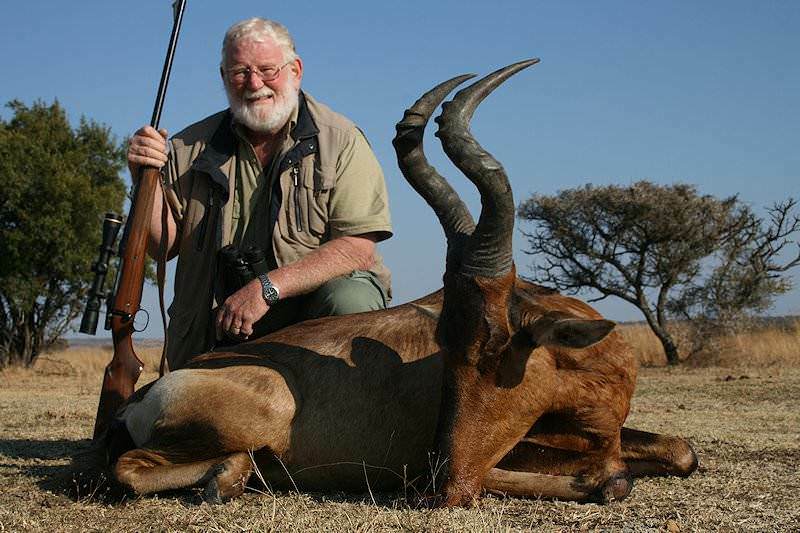 While he may be found in the sparse bush country, he avoids the dense bushveld. Primarily a grazer, he is partial to 'red grass' and will sometimes browse on leaves. He drinks when water is available. 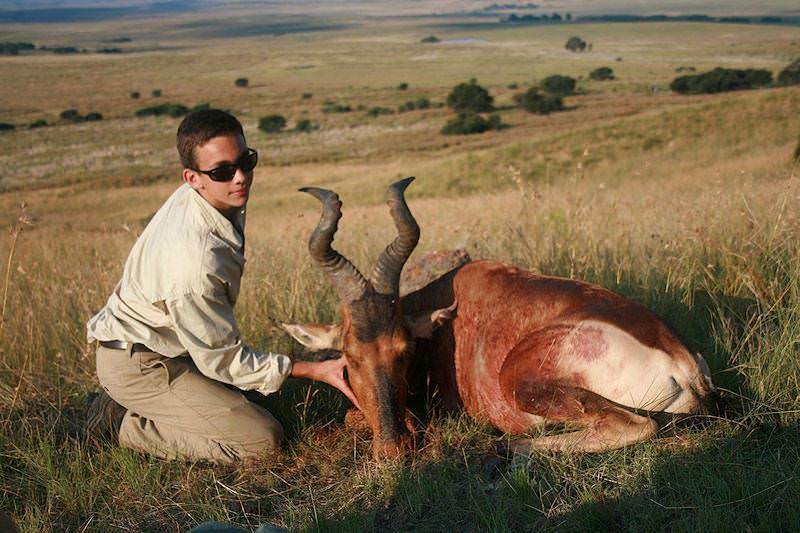 Hunting red hartebeest is best accomplished by first glassing from the high ground. 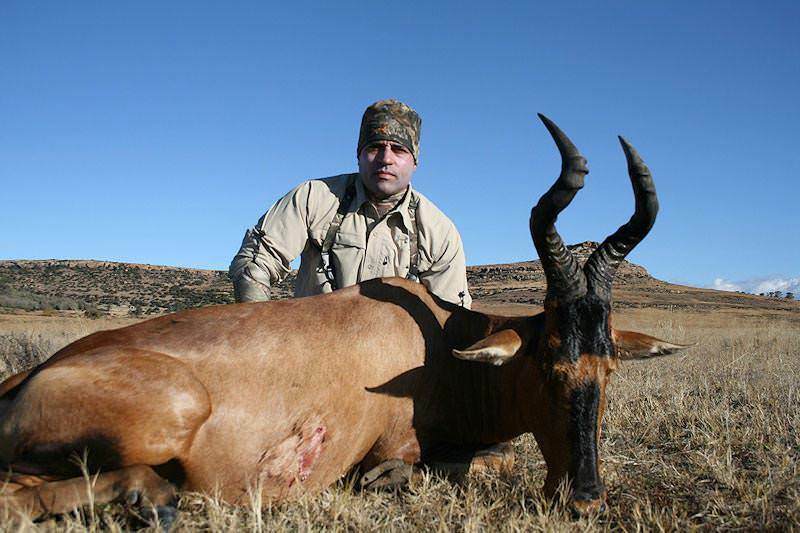 He is relatively easy to locate in open country. Set up an ambush near the approaches to a shady resting place, as he is apt to retreat there during the hottest parts of the day. 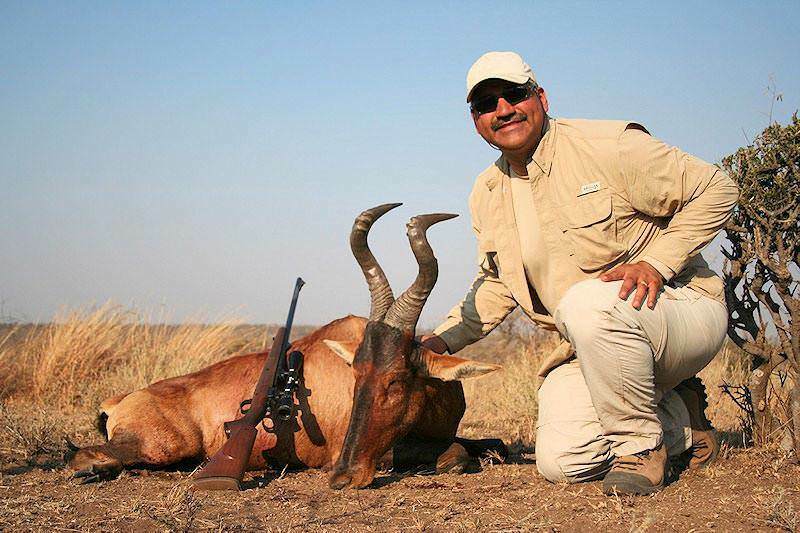 Consider checking salt flats or mineral licks when hunting red hartebeest. Plan your stalks at first or last light when the 'beest' is most active. 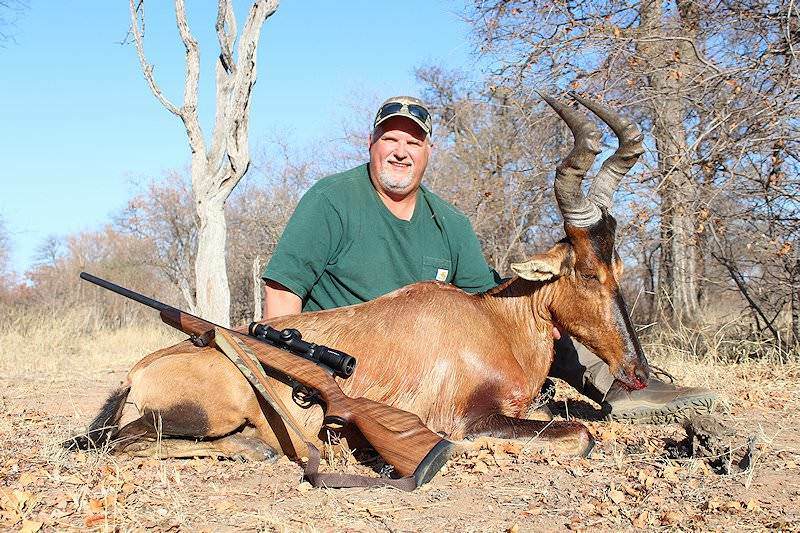 Hunting red hartebeest will demand a good flat-shooting rifle. The .270 Win and a quality 130-grain expanding bullet should be considered the minimum. 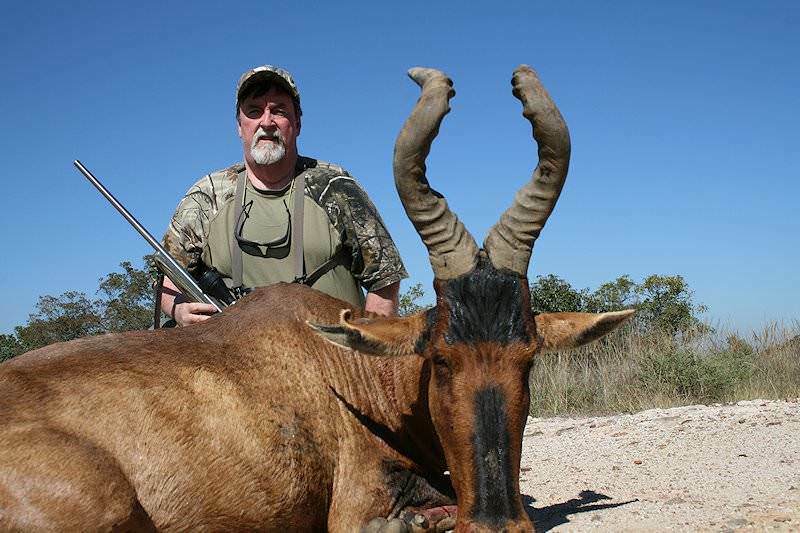 The 7mm and 140 grain bullet with a good ballistic coefficient (aerodynamic bullet) is probably a better choice for hunting red hartebeest. That brings us to the 30 calibers and, if sighted-in properly, the .308 Wi, 30-06, but especially the 300 Mags with good 165 -180 grain bullets come into their own. 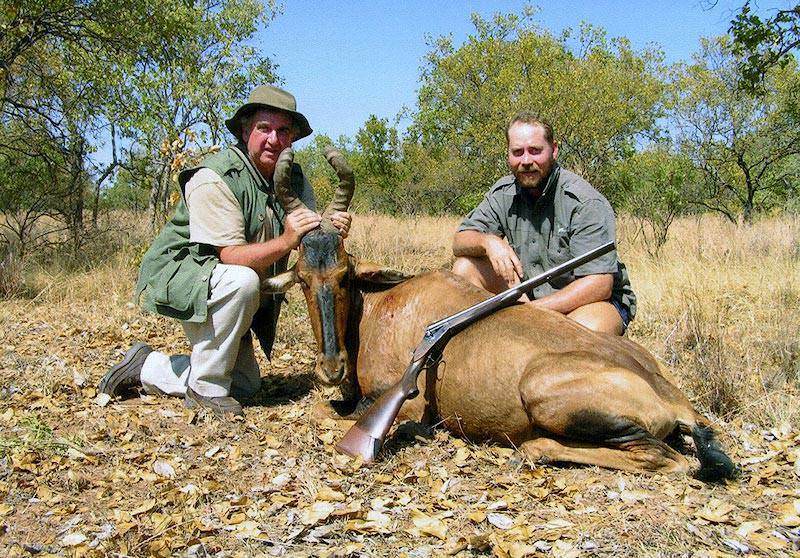 Be cautious of those 'humped withers' when hunting red hartebeest, as they have caused more than one experienced hunter to shoot too high! With a side-on presentation, aim directly up the rear line of the front leg, never more than midway into the body. The neck of this unique antelope is a bit too slender to recommend such a shot. 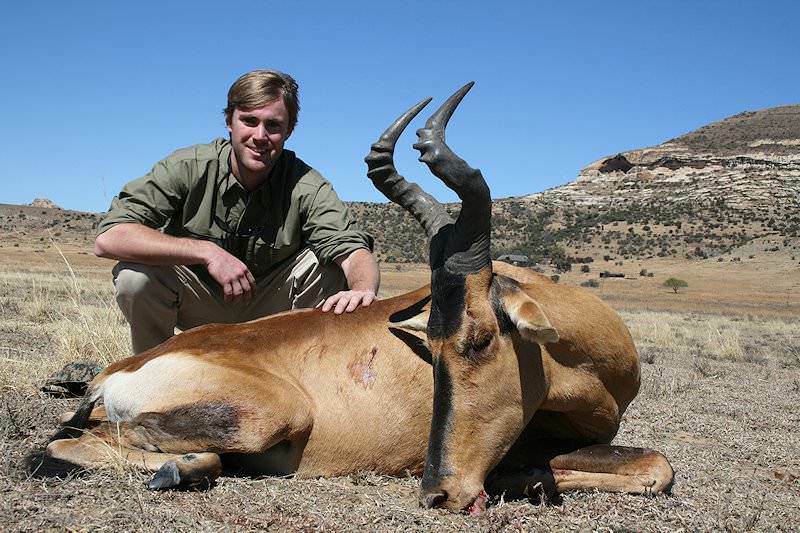 If presented with a frontal shot when hunting the red hartebeest, place it directly between the shoulder joints, but take the shot only if he lifts his head or turns it to the side. 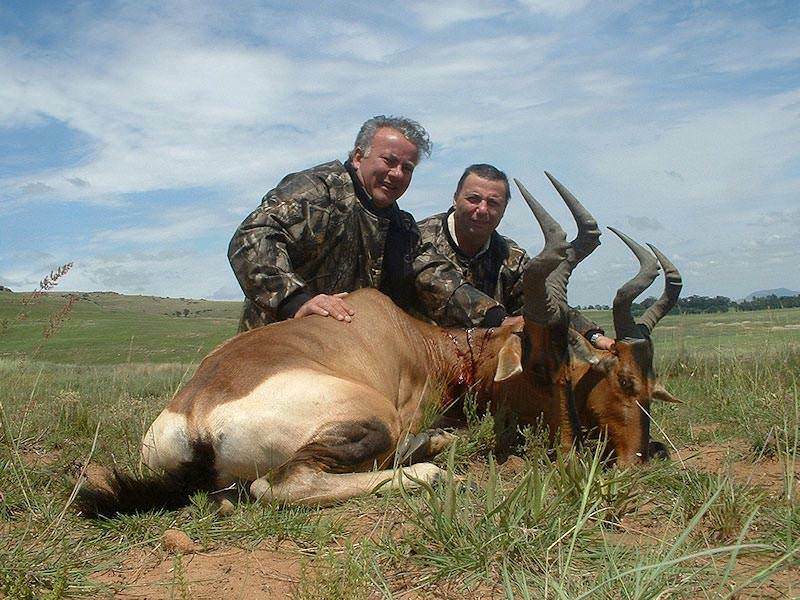 Hunting red hartebeest can net you a very unique trophy and provide you with an interesting conversation piece once he is hanging on the wall. 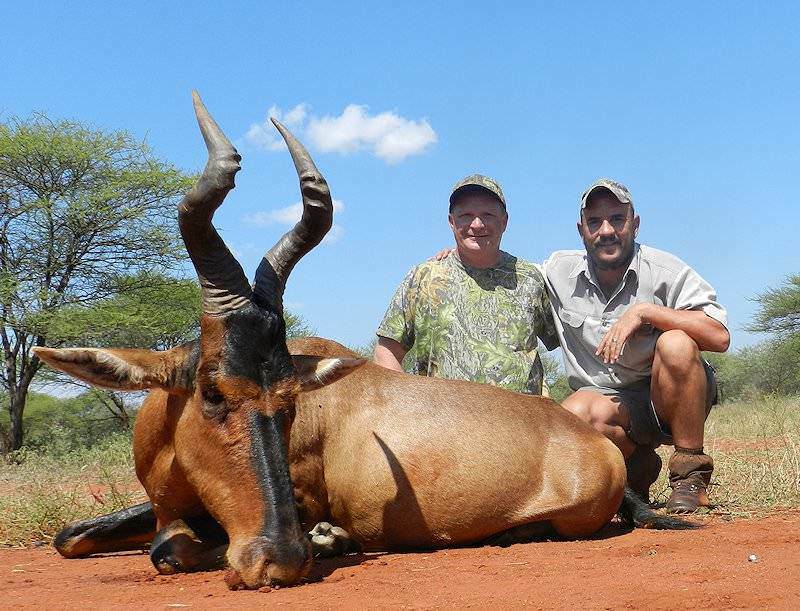 An epic three-week hunting adventure across South Africa's Eastern Cape, eastern Free State and bushveld hunting areas. 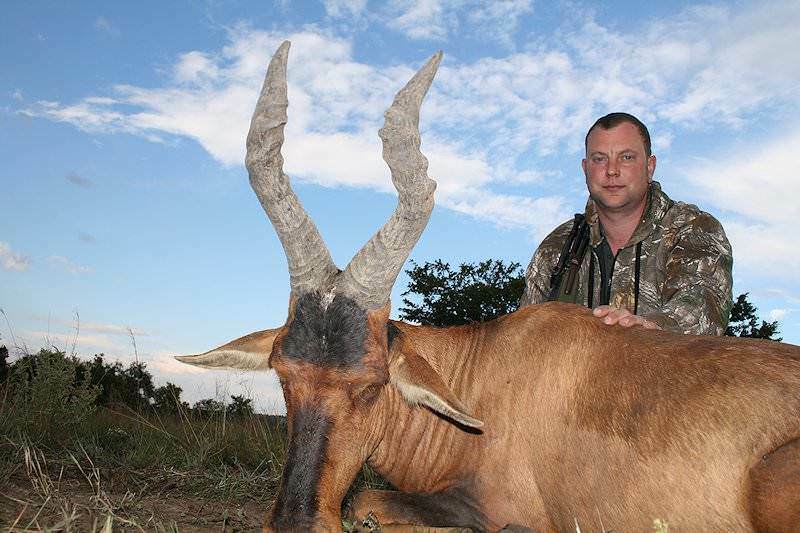 Pursue the cream of the crop of the country's plain game offerings, from kudu and gemsbok to red hartebeest and zebra.